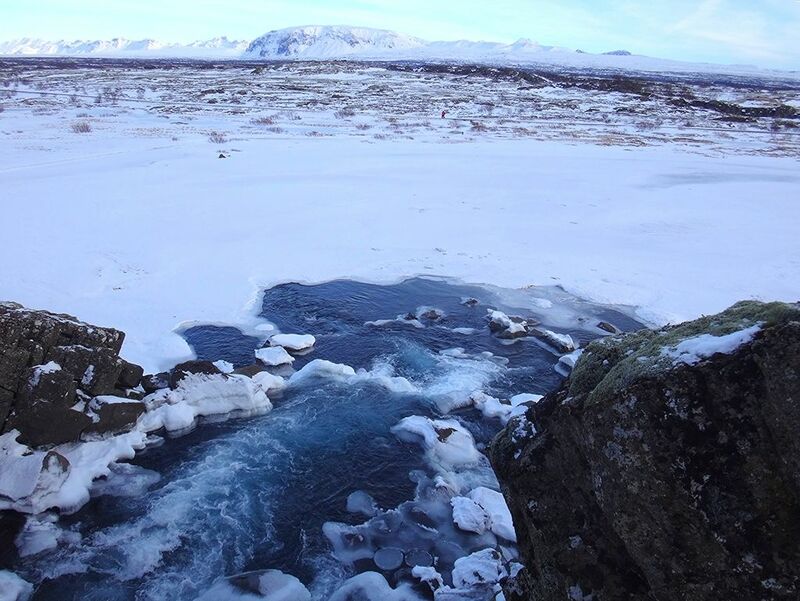 When I began planning our winter trip to Iceland, I knew that there was only one thing I would want to do after a seven hour flight that was taking us seven hours into the future: start exploring. But despite all my research and time spent stalking travel blogs, it was tough trying to figure how to make this happen. 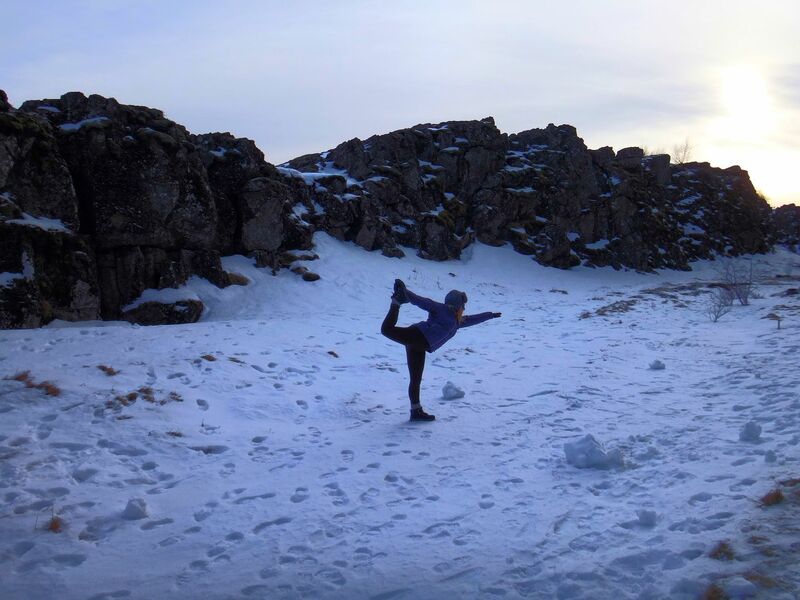 The days are short in Iceland during the winter, so our options were limited. 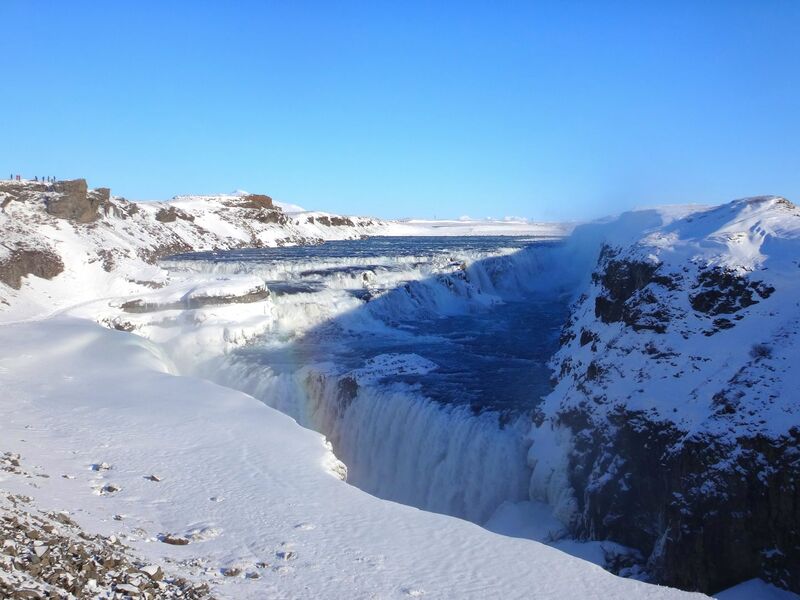 The dominant suggestion seemed to be renting a car and doing a self-drive tour around the Golden Circle, but given the unpredictable winter weather in Iceland, I wasn't sure how I felt about that. I hadn't driven in the snow in five years... did I really want to attempt that in a foreign country after 22 hours of no sleep and over 10 hours of travel? I mean, would you have trusted this person to drive you around the arctic? That left one of the billion tour companies... each with their own schedule and pick up locations and group size and departure times. There were just so. many. options. it became really overwhelming to figure out the right one. 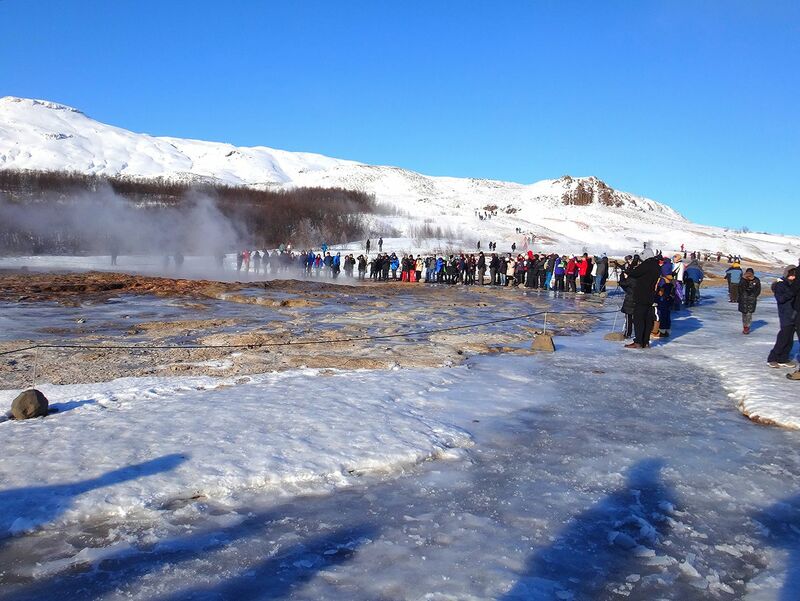 Not to mention the reviews... it became clear that there was definitely a wrong and a right way to tour the Golden Circle on a bus, especially in the winter. 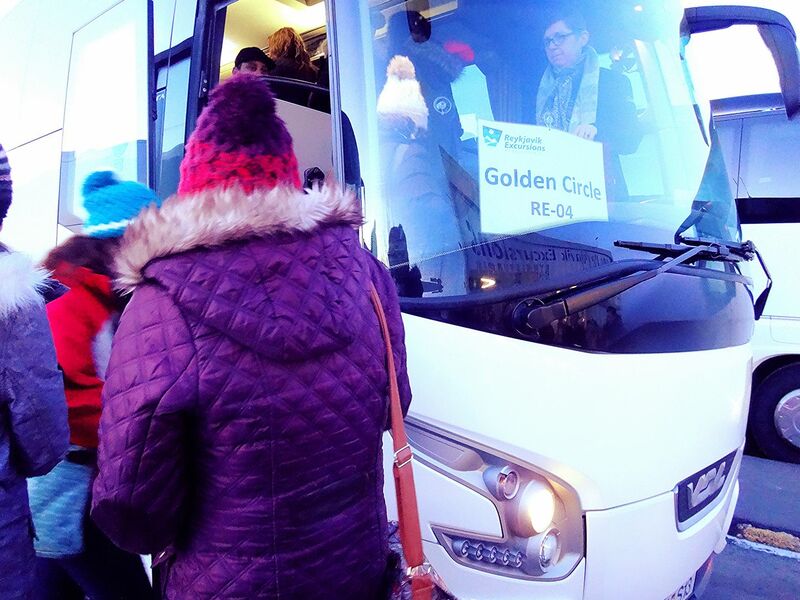 In the end, only one option satisfied my goals: taking the Flybus airport transfer directly from Keflavik to the bus terminal and hopping on a Reykjavik Excursions tour bus. 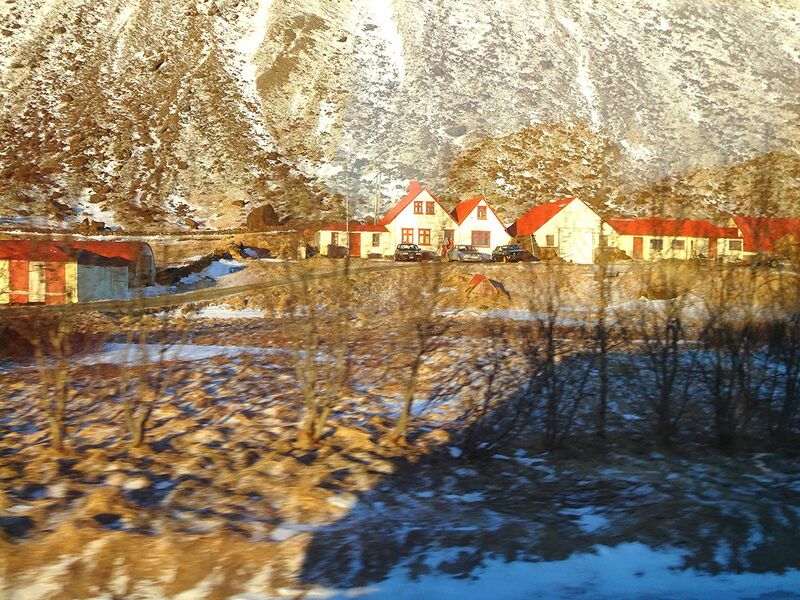 We landed at Keflavik at 6:45am, raced through customs, hopped on the 50-minute Flybus ride to the bus terminal, and then we were on our tour bus with our luggage on our laps (we only brought one backpack each), ready to depart by 9am. Sound impossible? Well, it usually is. 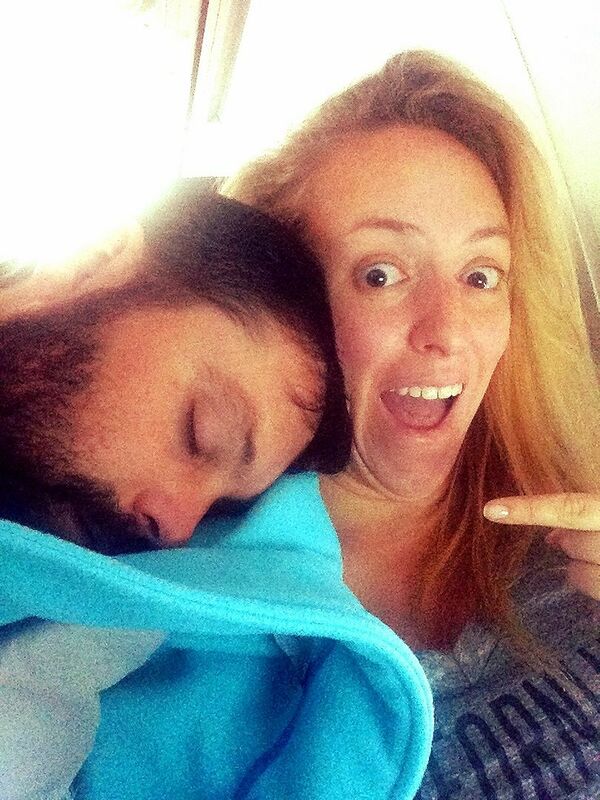 To be honest, my stomach was in knots the whole flight there... there were so many highly probable things that could have gone wrong. The flight could have been late, the weather might have prevented the bus from getting there on time, etc. etc. 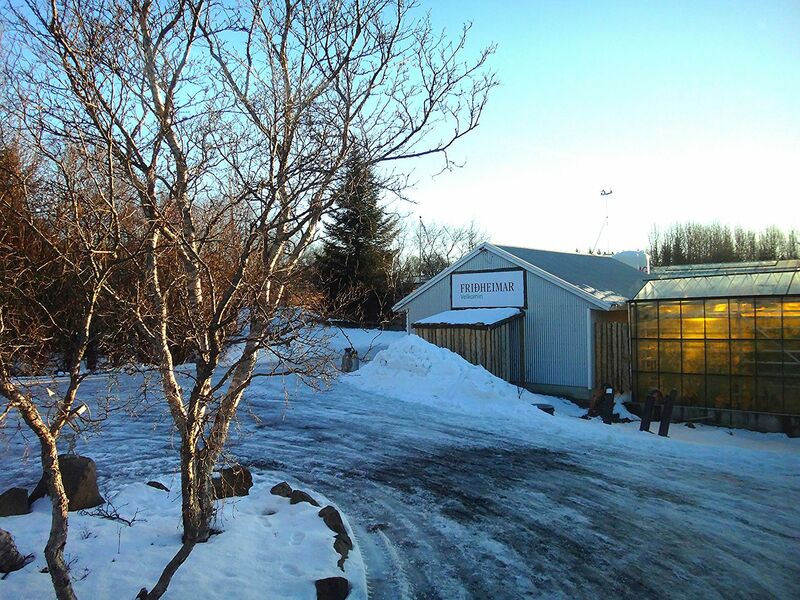 So though I don't recommend such an aggressive schedule to most Icelandic travelers, especially in the winter, it is possible. The tour bus departed as soon as the bus clock turned 9:01am. 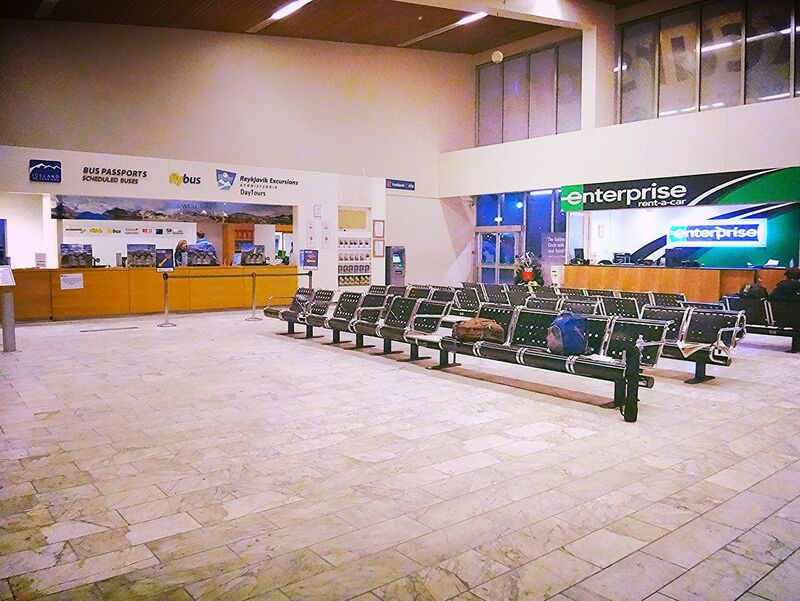 It was then that I got my first glimpse into what a punctual people the Icelandic can be. In fact, their punctuality can not be stressed enough. 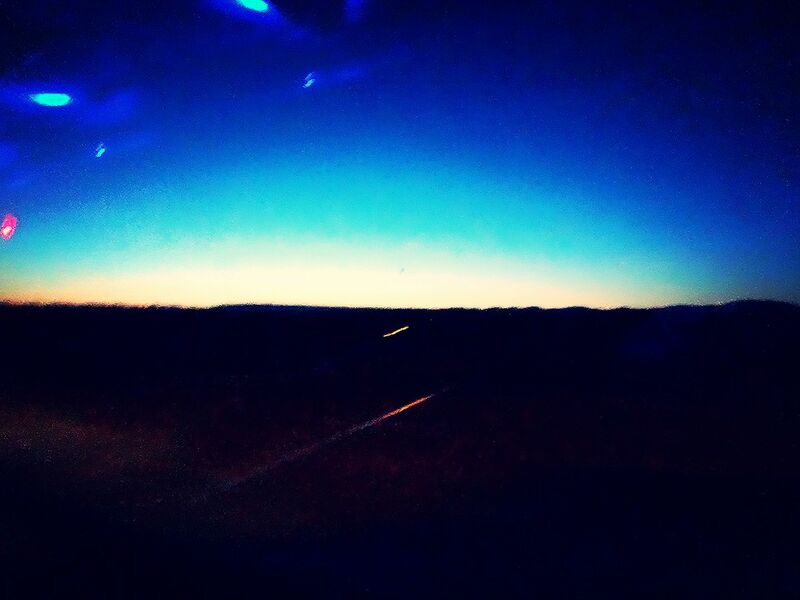 Watching the landscape rush by, I couldn't believe that two hours after landing the sun was still rising. 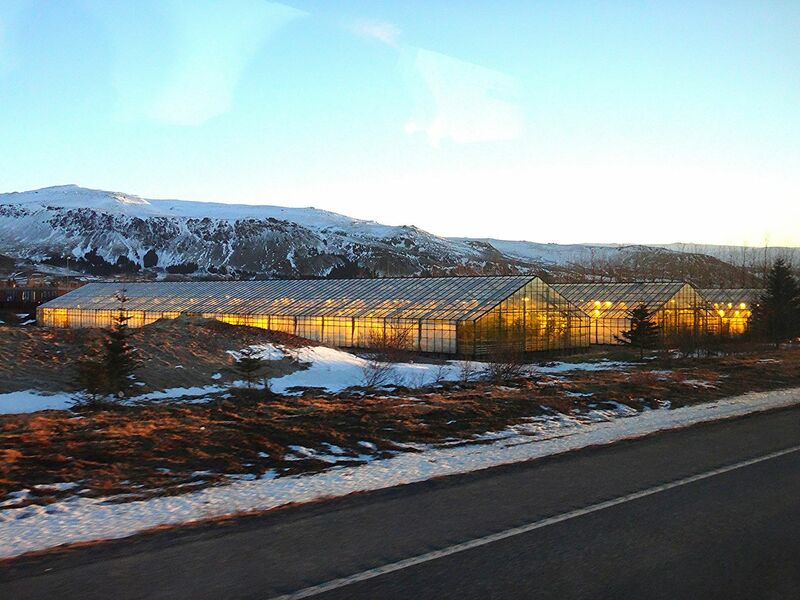 As we headed down the highway towards our first stop, Friðheimar Greenhouse, for lunch, our tour guide explained that this was the first sun they'd had in months... and that it probably wouldn't last. But while I watched the sun sparkle across the snow, I simply couldn't imagine it being any other way. 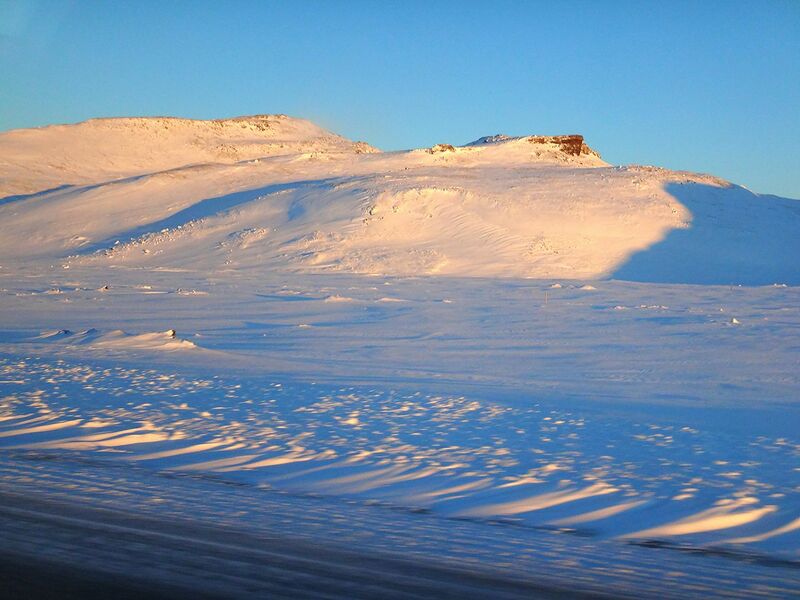 Soon, expansive fields of snow gave way to incredible hillsides and a smoking volcano in the distance. Spattered throughout were some of the most remote (but adorable!) houses I'd ever seen. 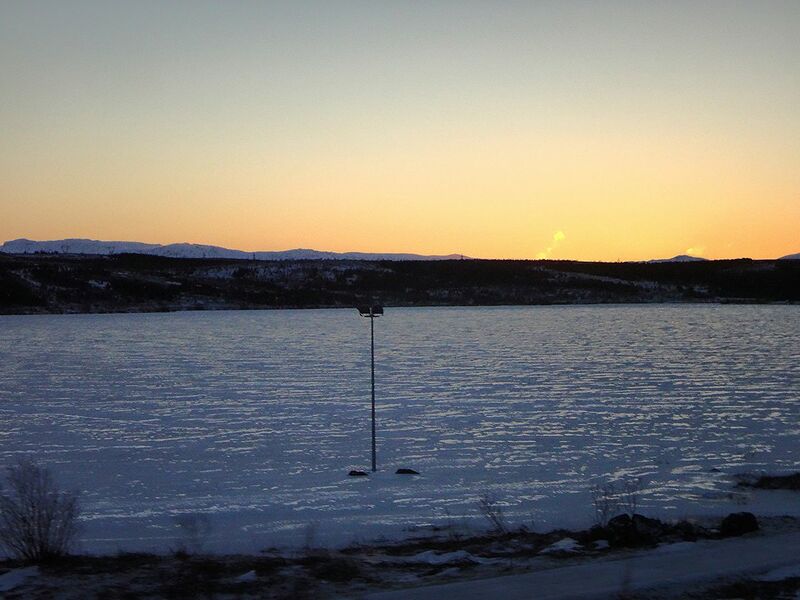 About an hour later we arrived at Friðheimar. 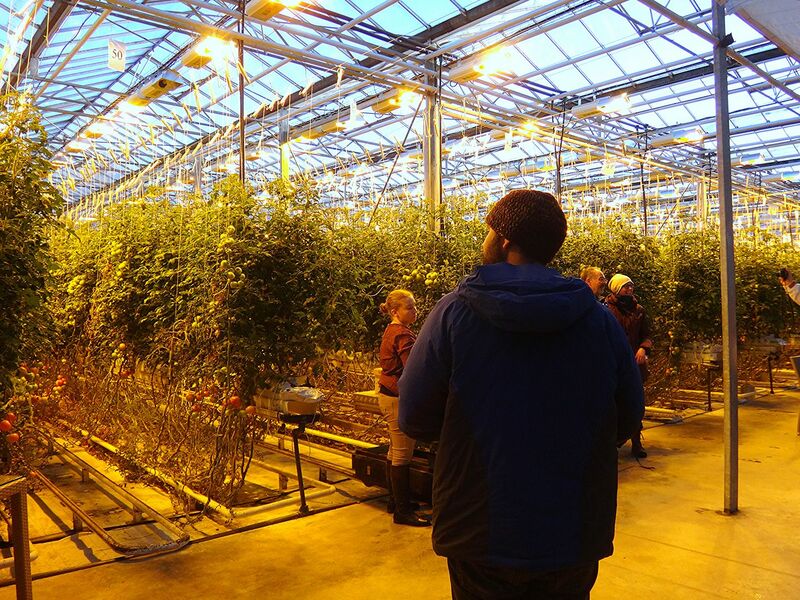 Our tour guide announced the time to be back on the bus and then we each set off across the icy parking lot to the greenhouse entrance. 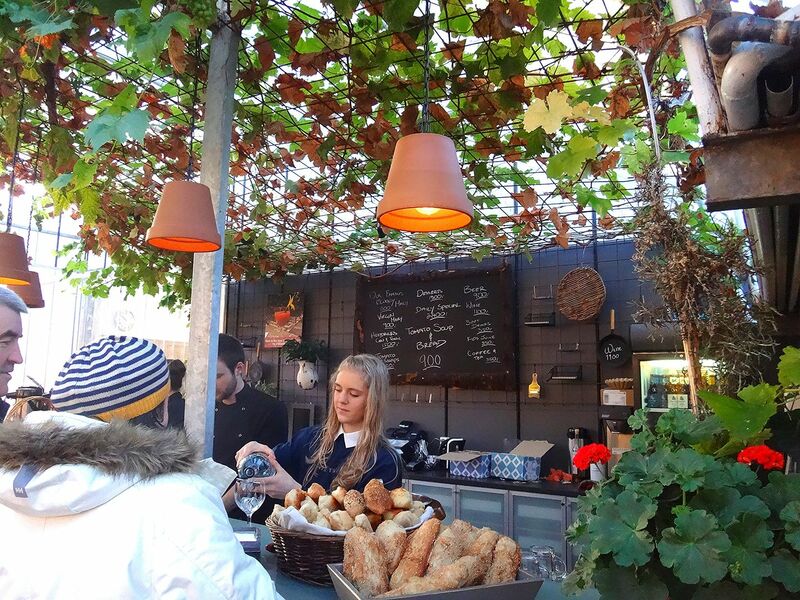 Inside, it was warm and filled with earthy smells. 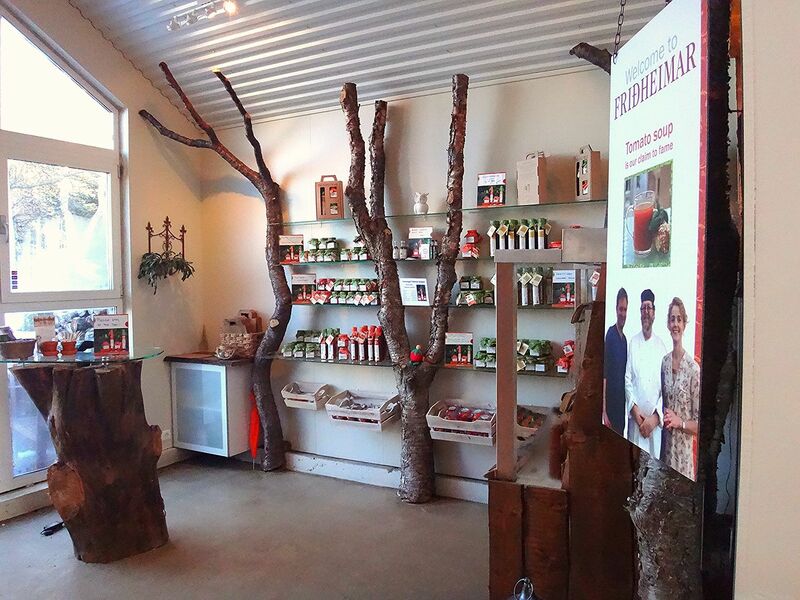 A small gift shop opened up into the greenhouse and eatery where I bought some tomato soup, cheese bread, and Viking beers for lunch. 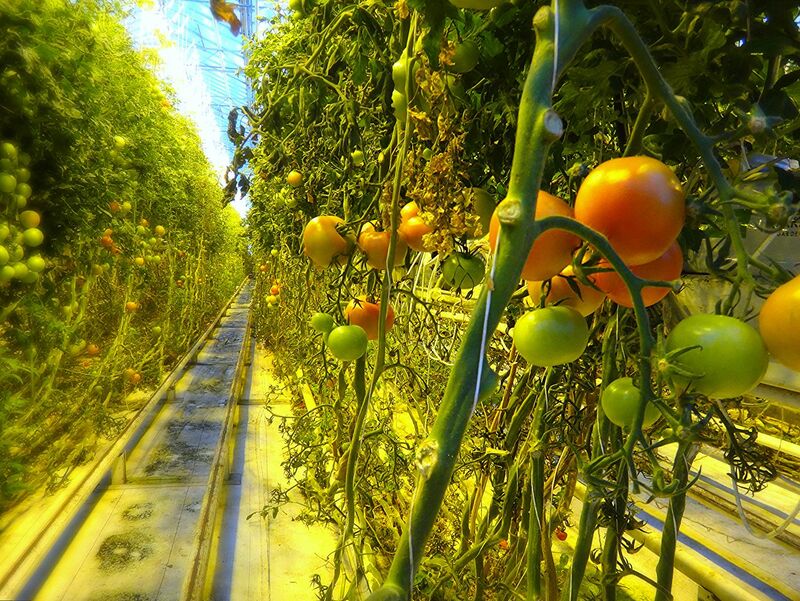 We learned about how they produced tomatoes in this greenhouse and had a presentation on the bees that help them. 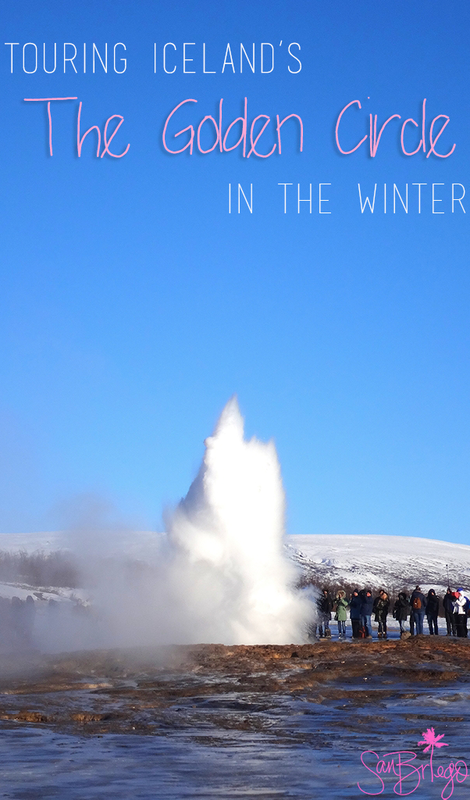 When our time was up, it was back on the bus to our first major stop of the day: Geysir. 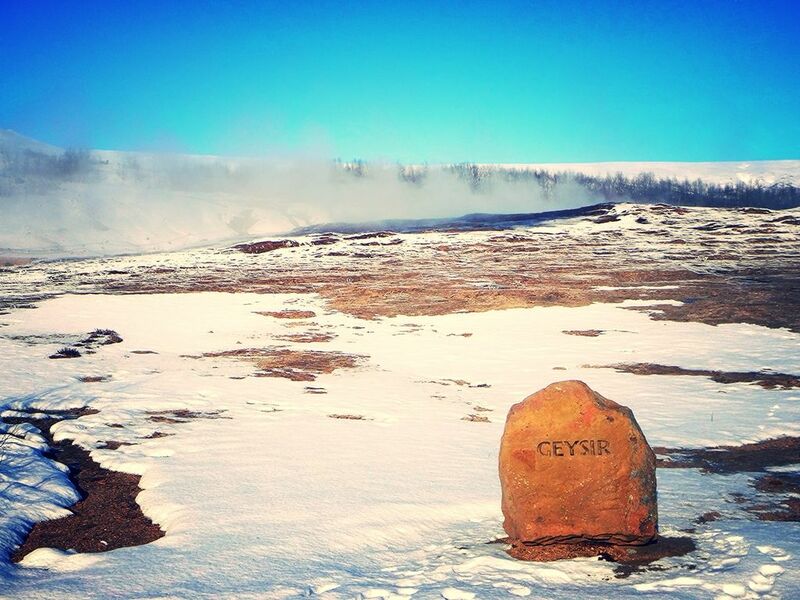 Geysir is the reason we call geysers, geysers, or as the Icelandic pronounce it, "geezers." Tomayto, tomahto. This impressive feat of nature has been active for over 10,000 years, shooting boiling water as high as 120 meters into the sky at it's peak. Sadly, it doesn't go off much anymore, with the last consistent eruptions happening back in 2003. 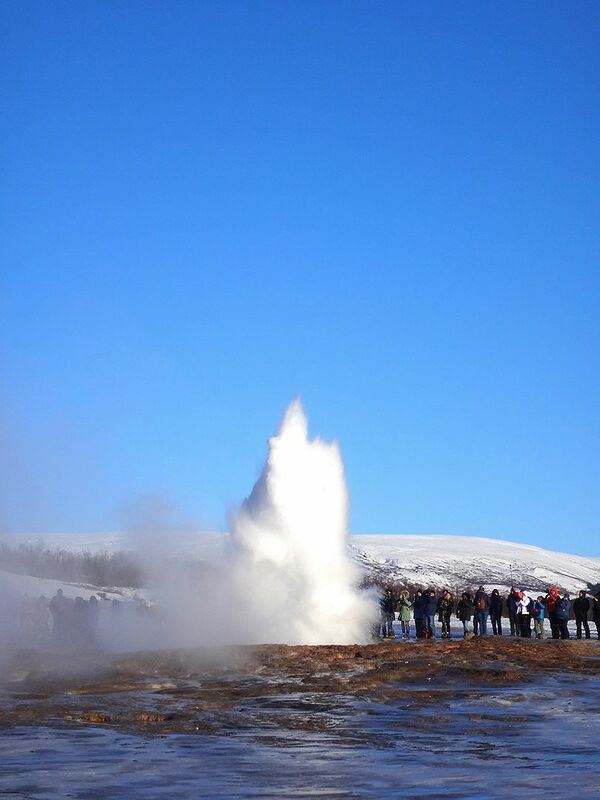 But its little brother, Strokkur, goes off every 7-10 minutes. 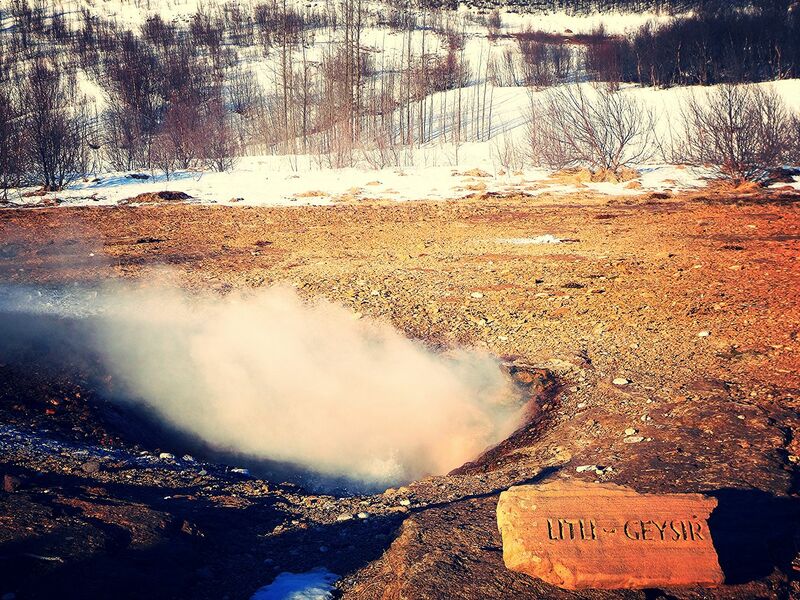 In case there's any confusion: if you go to Geysir, you will see a geyser erupt, just not the Geysir. 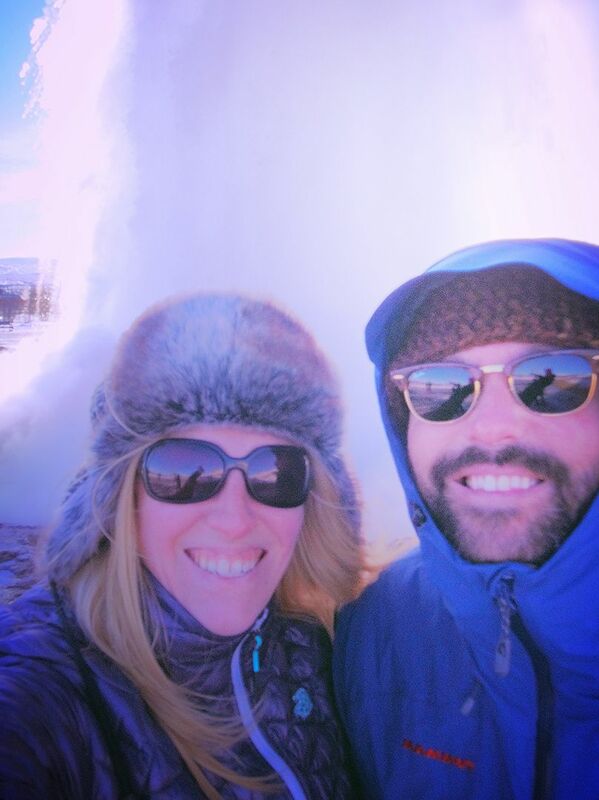 It was still very sunny when we exited the bus on our way to check out the first of our three main attractions, but the wind at Geysir was unbearably cold. 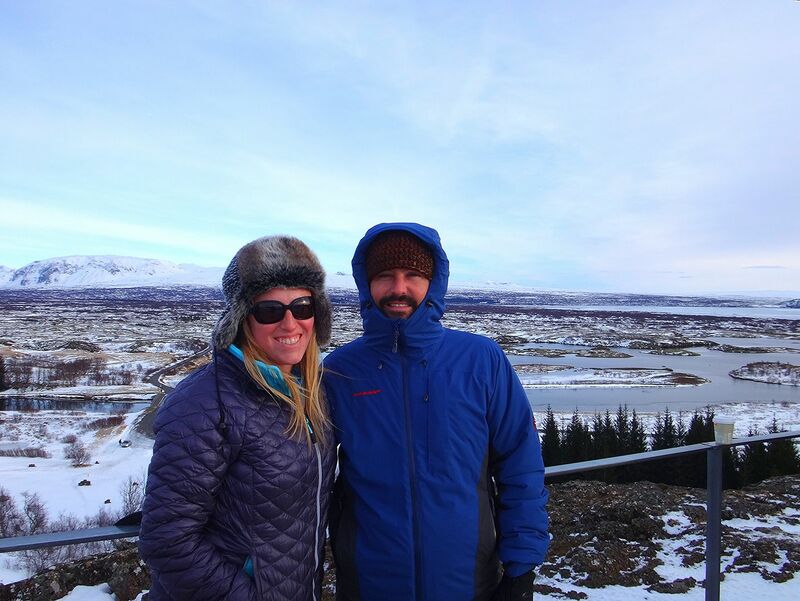 Before we made the short (but icy) walk all the up to Strokkur, we popped into the gift shop so I could buy a hat, which happened to be both the warmest and most expensive hat ever made. Learn your krona to dollar conversions, people. Don't be me. 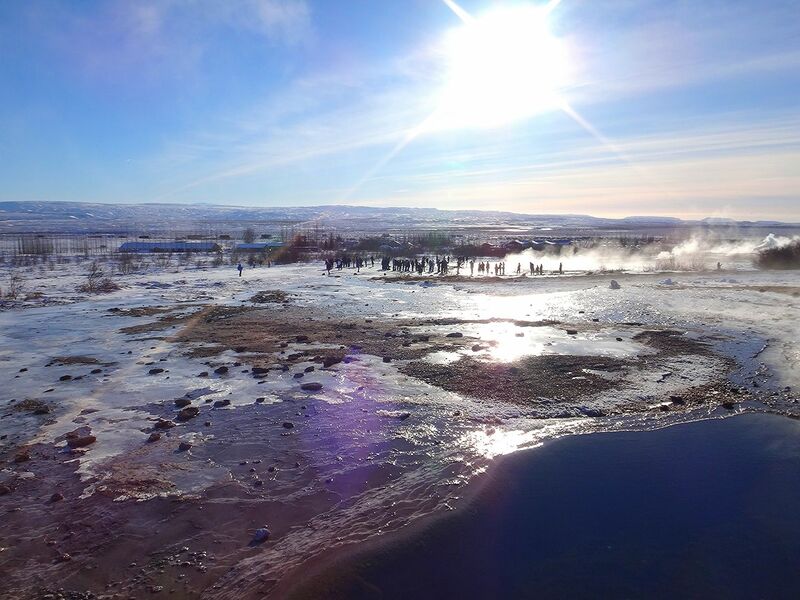 After about an hour at Geysir, it was time to leave. Ryan and I, being laid back San Diegans and all, thought nothing of ambling up to the bus about 9 minutes late. That is, until we got on. Down the aisle, we saw the dirty looks from our fellow travelers and were treated to a loud reminder from our tour guide that if this had been a train we would have been left behind. Duly noted! 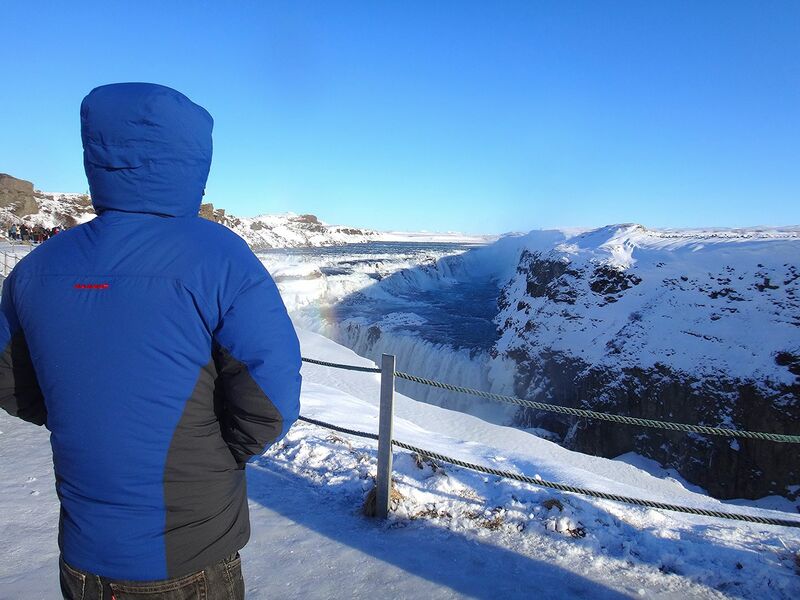 We did the Walk of Shame back to our seats and strapped in for Gullfoss. 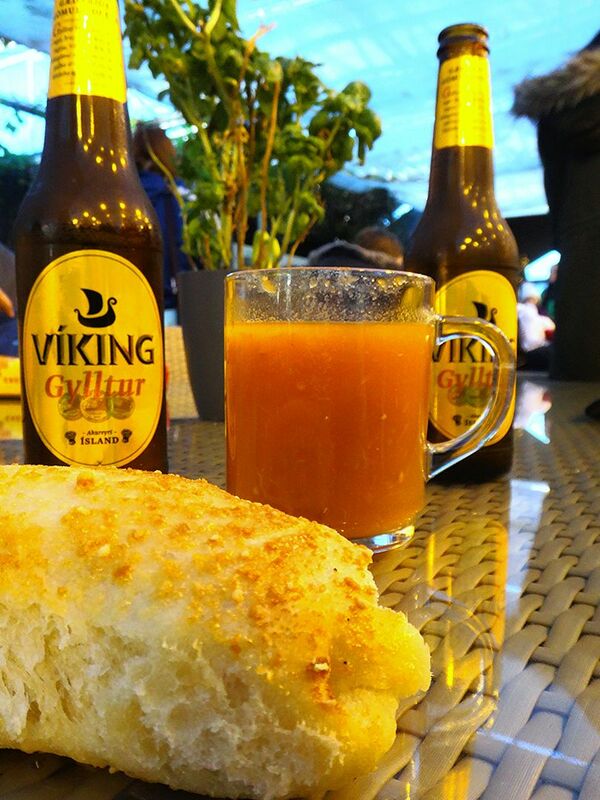 I repeat: the Icelandic are nothing if not punctual. Do not be late for your tours! 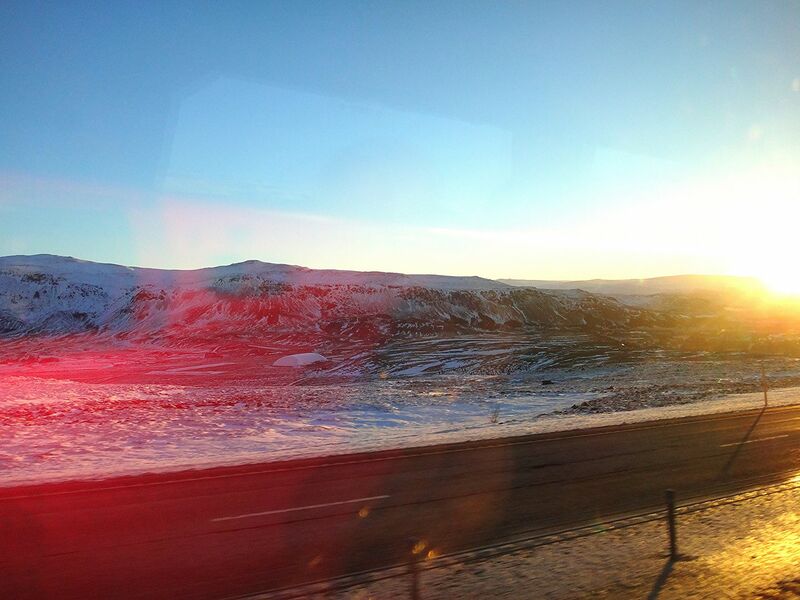 Surprisingly, the ride to Gullfoss was only a few minutes long, maybe ten minutes at the most. When we exited the bus (after paying careful attention to the return time deadline this time! ), I saw a building and not much else. I had no idea where this majestic waterfall could be hiding. I couldn't hear it, certainly couldn't see it, and couldn't imagine where it could possibly exist in the desolate landscape. 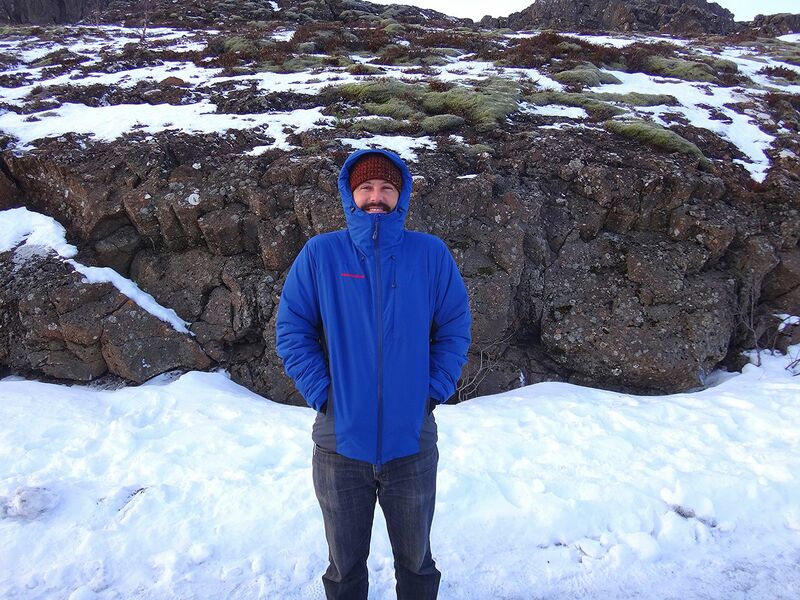 So, we followed the line of people walking off into the tundra and trusted that it would eventually appear. Eventually a very icy, very steep wooden staircase appeared out of nowhere and after carefully walking down the steps, we were finally there. 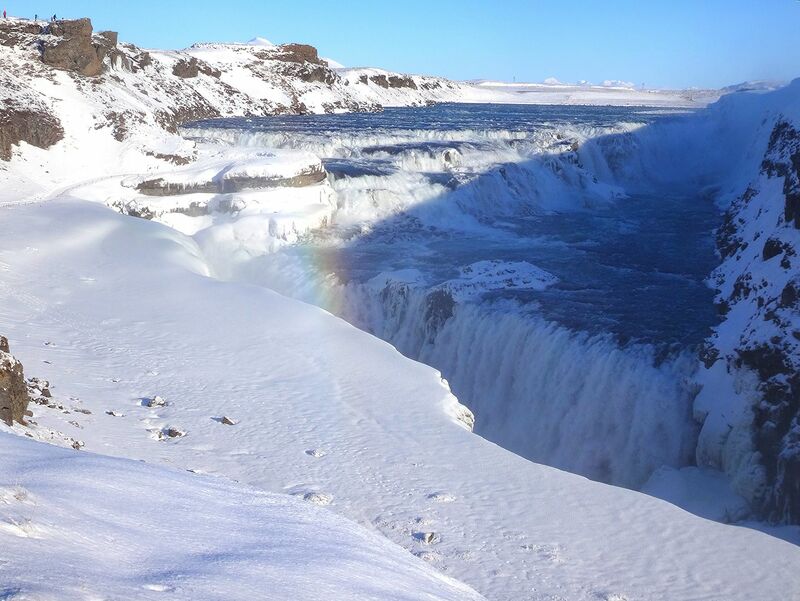 Gullfoss is loud and powerful and huge. So huge, in fact, that it generates a ton of mist. You may not see or notice the mist coming off of it, but trust me, you'll feel it when it starts to freeze on you. This would have been a great spot for us to put on our waterproof rain jackets, but instead we learned the hard way. Only a few minutes into admiring the massive waterfall, we were ready to make the climb back. We took some pictures, took one last glance at the rainbow dancing above the falls, and headed back towards the visitor's center. We decided to have a couple more beers in the visitor's center before making our way back to the bus (five minutes early if I do say so myself!). Because I didn't want to be late and risk public shame again, I decided to skip the restroom, figuring I would go at the next stop. 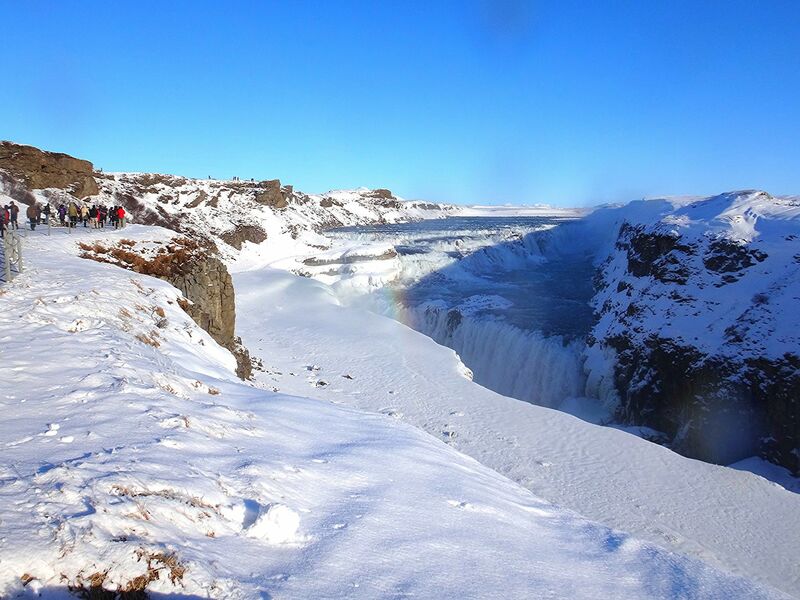 Besides, it only took like five minutes to get to Gullfoss, how long could it possibly take to get to Þingvellir? 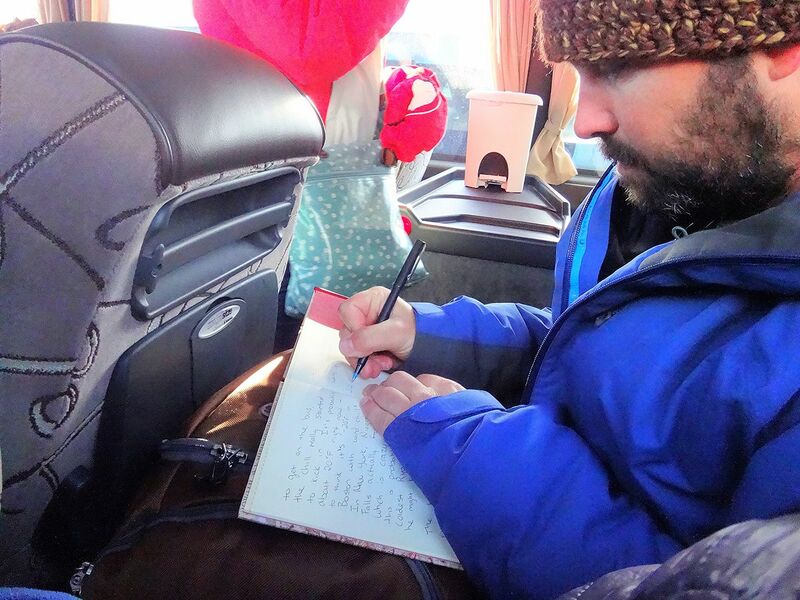 The bus departed, Ryan settled in with our travel journal, and our tour guide announced that we would arrive at Þingvellir in about 40 minutes. That's when I began to panic. I could ask this bus of 60+ people to pull over so that I could pee in front of all of them on the flat, the so very flat, stretch of landscape we were happened to be on. I could try to discreetly pee into my empty water bottle. Or I could cross my legs, pinch my arms to distract myself, and pray like hell that I wouldn't pee my pants. Did I mention that the tour bus did not have a bathroom? 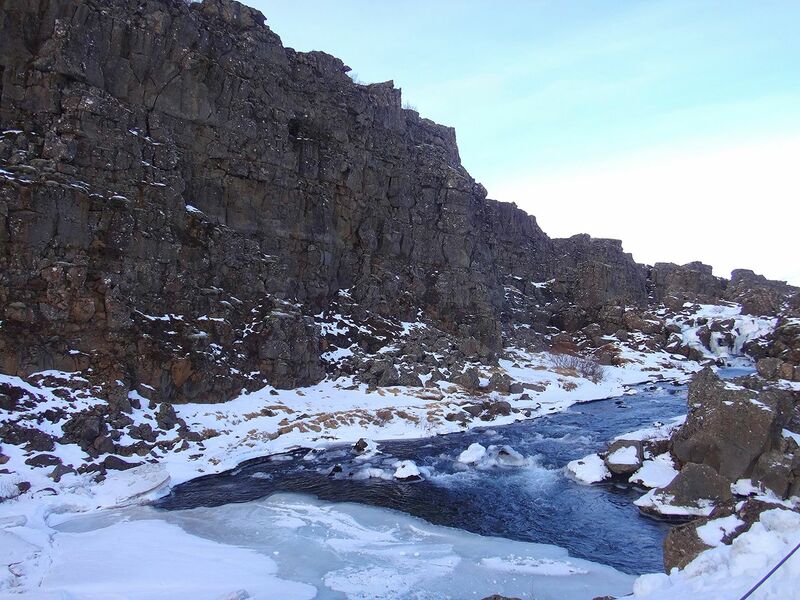 Bonus news: Þingvellir would not have a bathroom upon arrival either. We would have to walk all the way through the park before we got to one. Somehow, I honestly do not know how but somehow, I made it and as soon as they opened the doors to the bus, I sprinted across the parking lot and into the wilderness, where I literally dove behind a rock and pulled down my pants as fast as I could. In hindsight, this was not the smartest move. I've since read stories of people walking off the beaten path in Iceland and accidentally stepping through patches of grass that cover boiling mini hot springs, which are basically everywhere. So be careful! 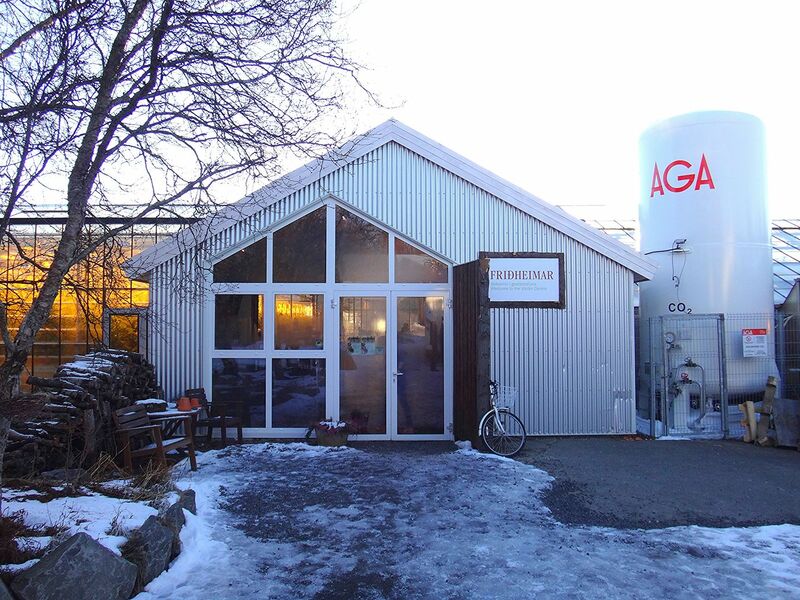 And most importantly, please learn from my mistake: take advantage of restrooms in Iceland when you can. I made it back to the bus unscathed and more relieved than I have ever been in my life. Ryan got me up to date on the game plan, which I had apparently blacked out of while it had been explained by our guide. 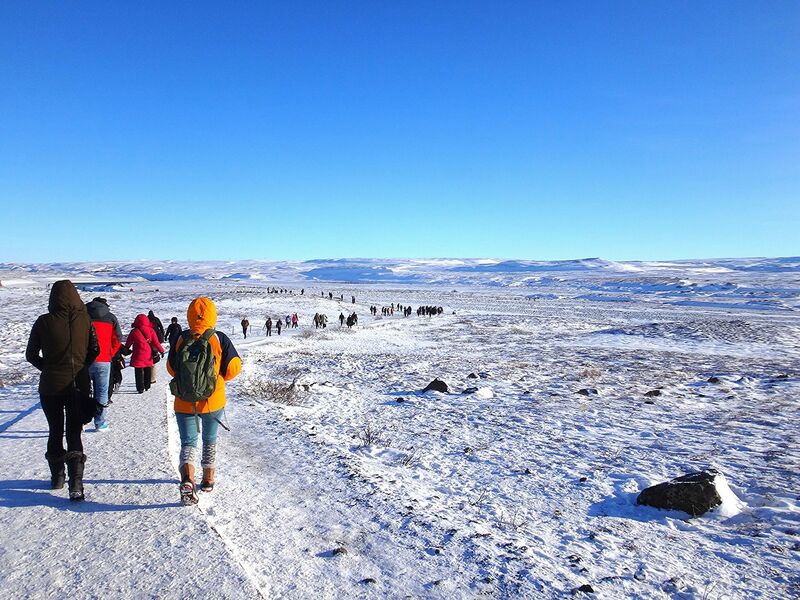 We were going to have about 45 minutes to walk through Þingvellir to the other side where the bus would pick us up for the ride home. 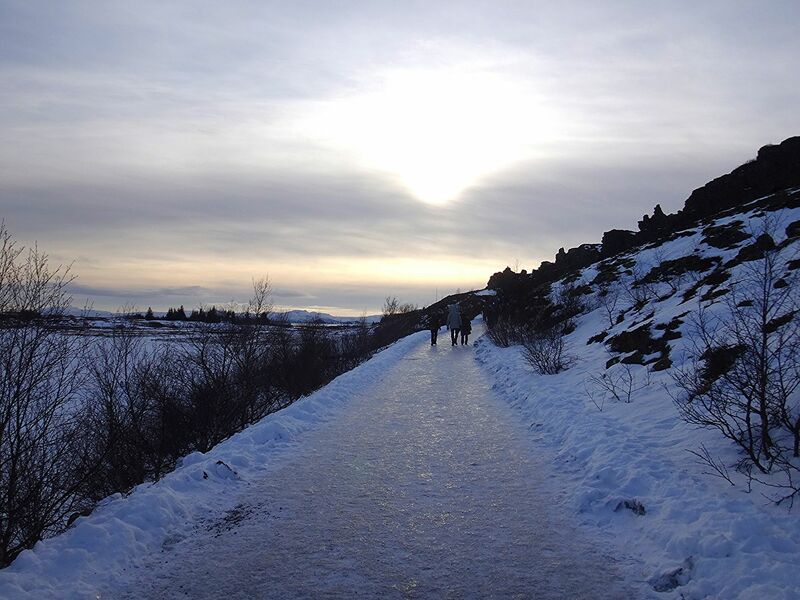 Þingvellir has an amazing history and an equally impressive present. 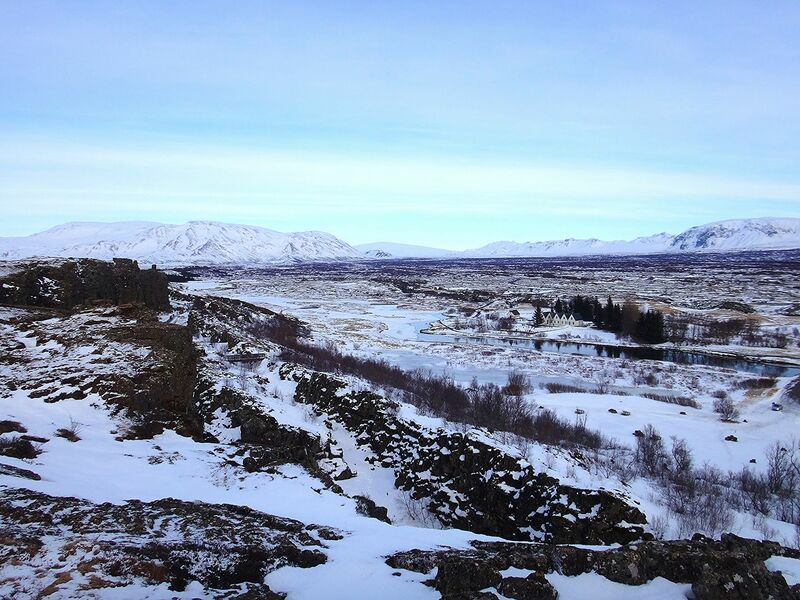 Translating to "Parliament Plains," this is the site where Iceland's general assembly was established and where they convened to make important judicial decisions. Today, it's a national park and a UNESCO World Heritage site. 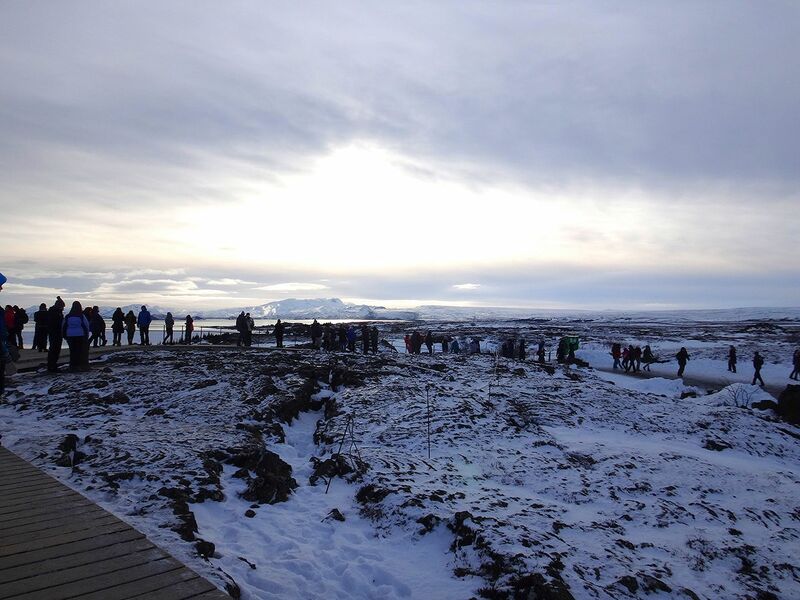 It's also the only place in the world where you can see tectonic plates above ground. 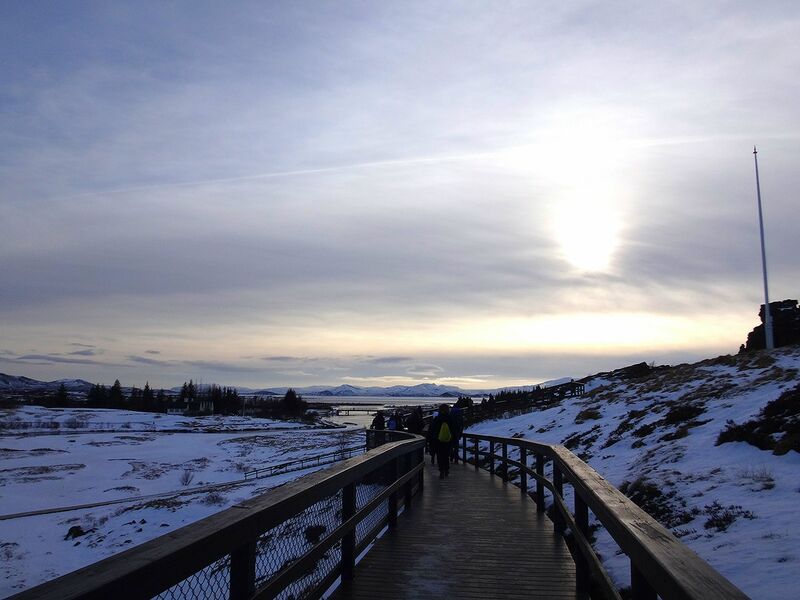 Forget standing in four states at once... in Þingvellir, you can literally take a footbridge from North America to Europe and back again. 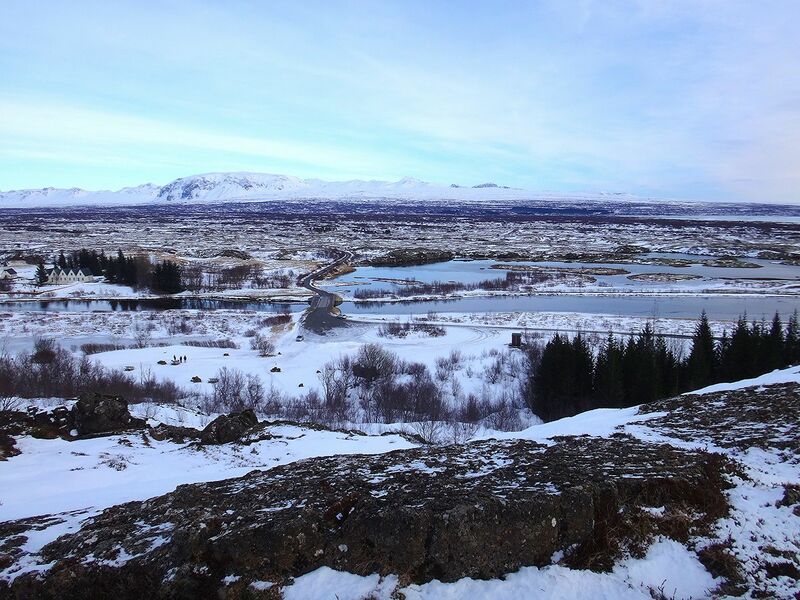 The rift between the continental plates gives way to a very special body of water named Silfra, which I can't wait to cover in another post altogether. We made our way on a short, beautiful, but overall uneventful stroll through the park and found our tour bus waiting on the other side. Here, there is in fact a visitor's center and bathrooms, but the bathrooms are paid and cost about $2 to use. 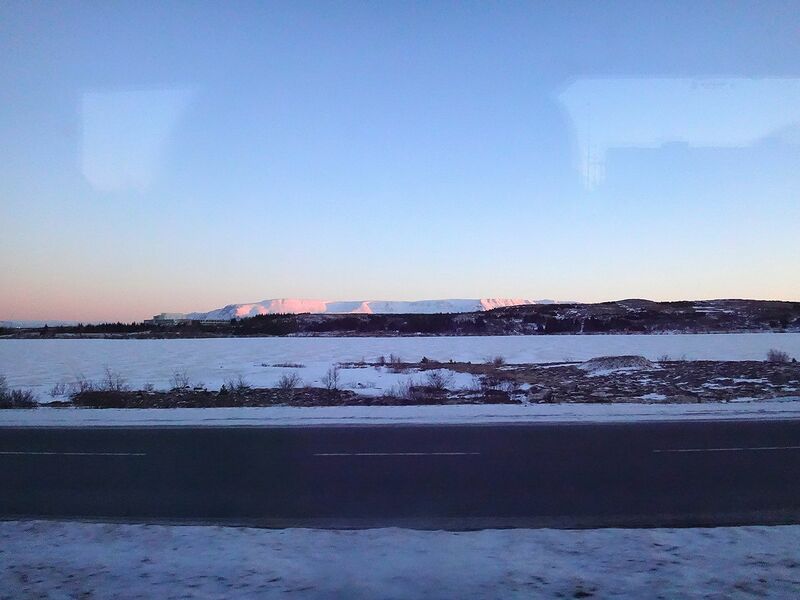 On the 40 minute drive back to Reykjavik we went through a little bit of a snowy patch and I couldn't help but think about how glad I was that we were on the bus instead of trying to navigate a car on our own. 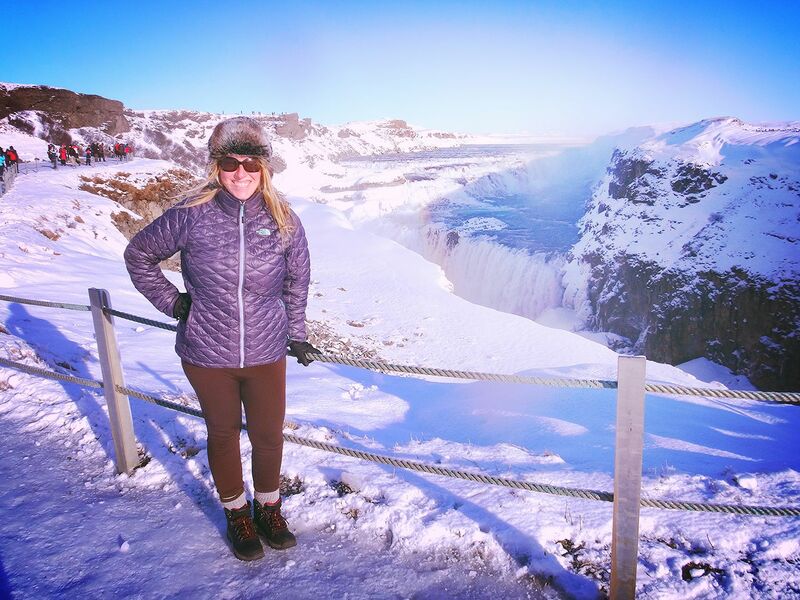 Between the narration our guide provided, the way the tour organized everything, and the added safety of the tour bus in the winter, I was so glad that we decided to go with Reykjavik Excursions for our tour of The Golden Circle! 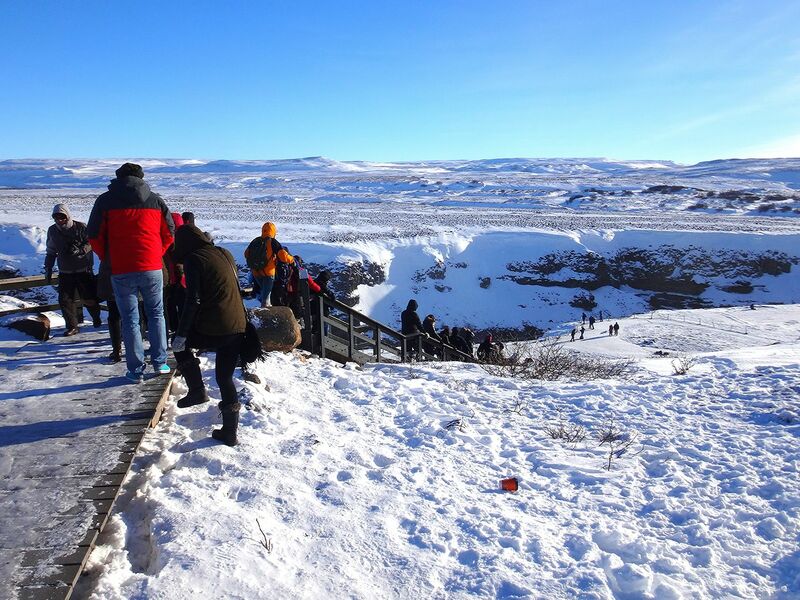 The Golden Circle is a perfect day tour and a must-see during your time in Iceland. 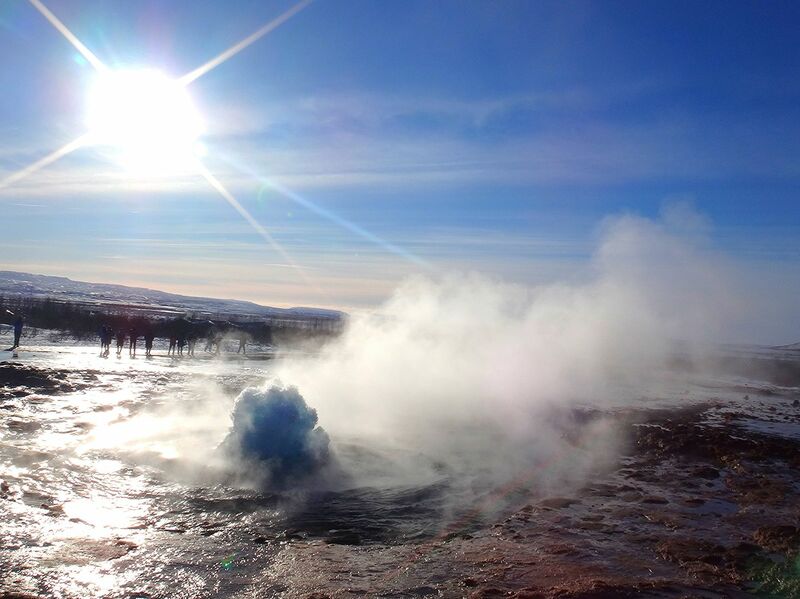 Overall, Geysir was definitely my favorite part of the day: standing that close to a boiling explosion is exhilarating and terrifying at the same time, every time. 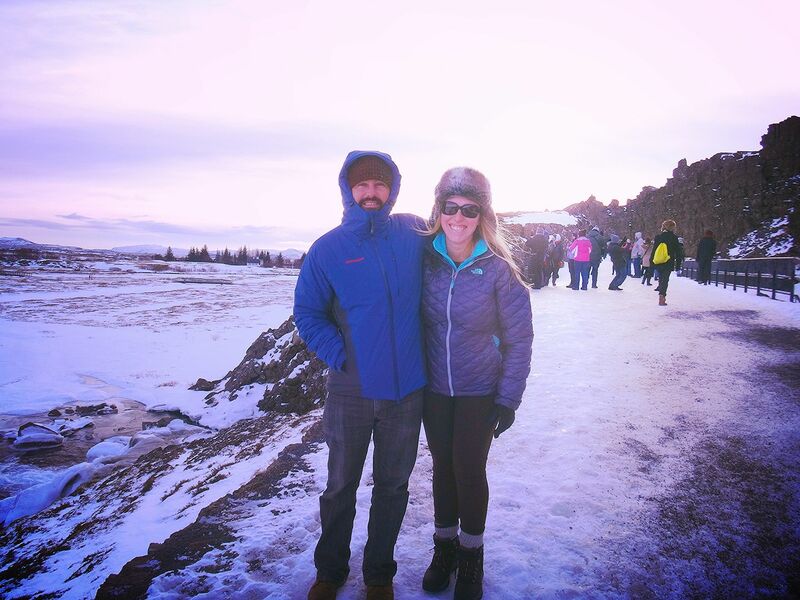 It was a perfect way to spend our sunny first day in Iceland and to see some of the country's most famous sights! 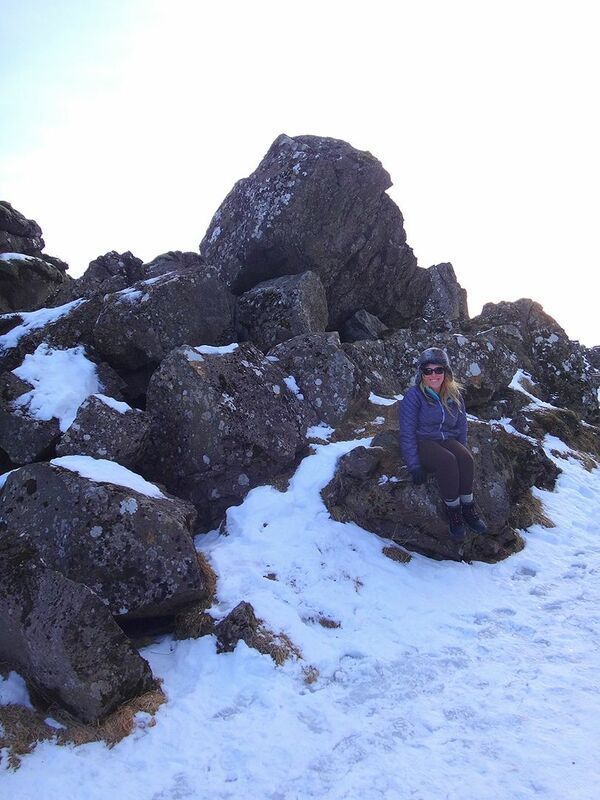 Thanks to Reykjavik Excursions for sponsoring this post! Our amazing tour was provided to us for free by them, but all my opinions are honest as usual.